Bill Cosby admitted he slipped a girl a mickey and then slipped his, well, times were different then. But still. 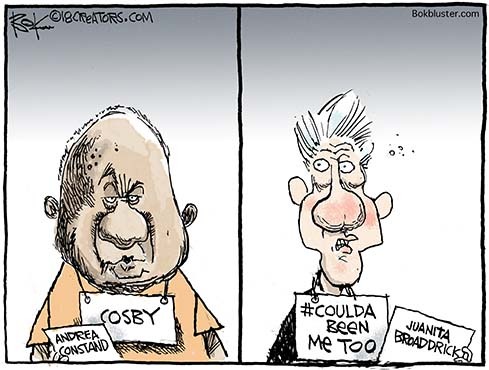 The #MeToo movement may have locked up it’s first scraggly scalp in Cos.
For his malpractice Dr. Huxtable might spend the rest of his life in prison. And not only that, the film academy just gave him the boot. But possibly thanks to earlier feminists Slick Willy’s more lusterous silver scalp remains unruffled.